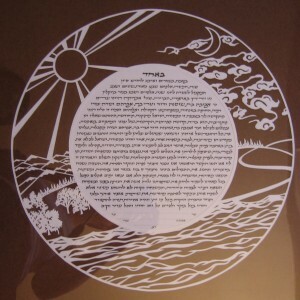 This papercut was commissioned by an synagogue that wanted to send a thank you to its Kitchen Master when she moved away. She deserved a lot of thanks for her role at the synagogue! 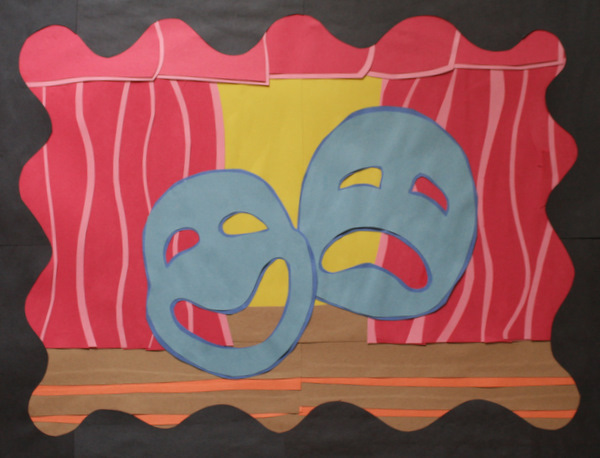 This piece was commissioned to celebrate the year 2012, when significant events happened for nearly everyone in extended family of the person who commissioned it. 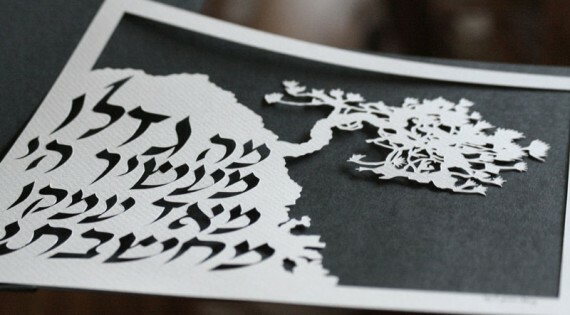 The on this piece reads: “Ma Gadlu MaAseh Adonoi, Meod AmKu MaHoshVotecha”, meaning “How vast are your works Adonoi, Your designs are beyond our grasp” and it is from the Psalm for Shabbat. It was a commission from a long long-time family friend for her husband on an important birthday. This piece was commissioned to be a donation for a silent auction held by the ECCPA, an organization through which citizens support their local police. 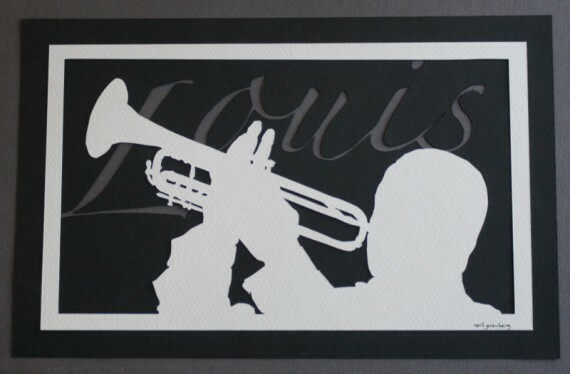 Commissioned by AG and JG for the first birthday of their son Louis, named partially for the great musician Louis Armstrong. 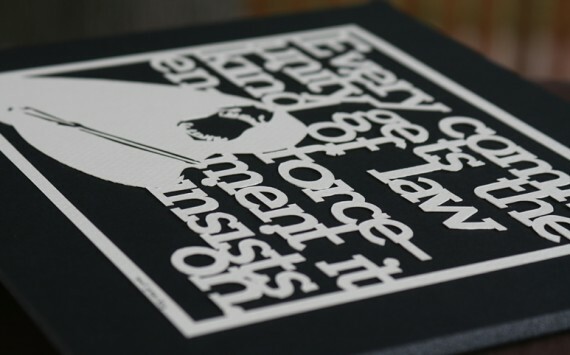 This papercut was a commissioned piece. 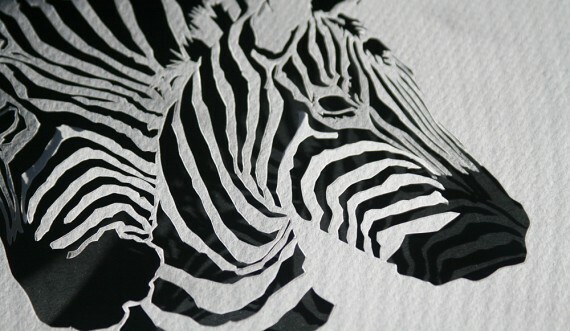 The two zebras are calmly intertwined, each doing their own thing, looking at what’s around them, but not with an absence of passion and tension. 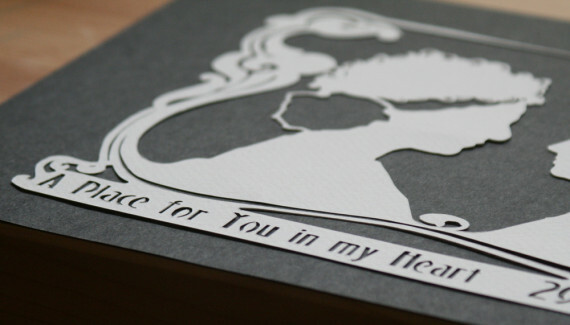 This papercut was a gift to friends with a new baby daughter. It’s three-layer – white, maroon, pink. Into the white layer are cut gazelles, the name Engidawork in Amharic, and the name Ayelet Ophira in Hebrew. Into the maroon layer is cut the priestly blessing, given over children weekly. I’m starting research and design work on a secret commision – secret because the people who commissioned it don’t know about it yet! I can’t say much, other than this papercut involves a lot of research into how to spell things in a language I don’t know at all. And the due-date deadline for the papercut is unknown. A fun challenge. My cousin, who just started her first year of college 3000 miles away from her home, has put out a general call to friends and family to make art for her walls. 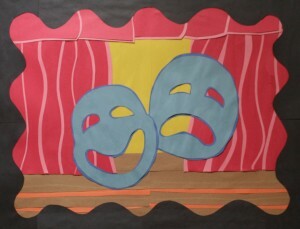 I got some large posterboard and created two mosaic-y paper-art things for her. This should cover quite a few square feet! Alison commissioned this piece for her to give to her fiance as a proposal token. 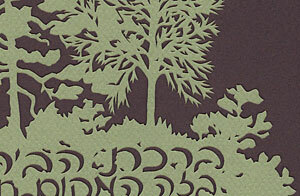 She requested two trees with branches entangled and the words connecting the branches as if spread between the atzim of a torah. Despite a relatively short timeline, I think I came up with a really beautimous result! this papercut has the traditional birkat habayit text along with the hebrew names of my two friends who just got married this past june. this is their wedding gift. 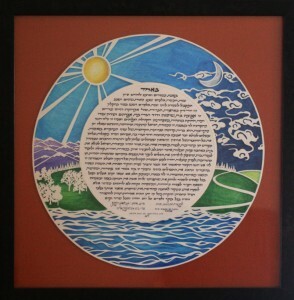 My sweetie and I designed our ketubah together. 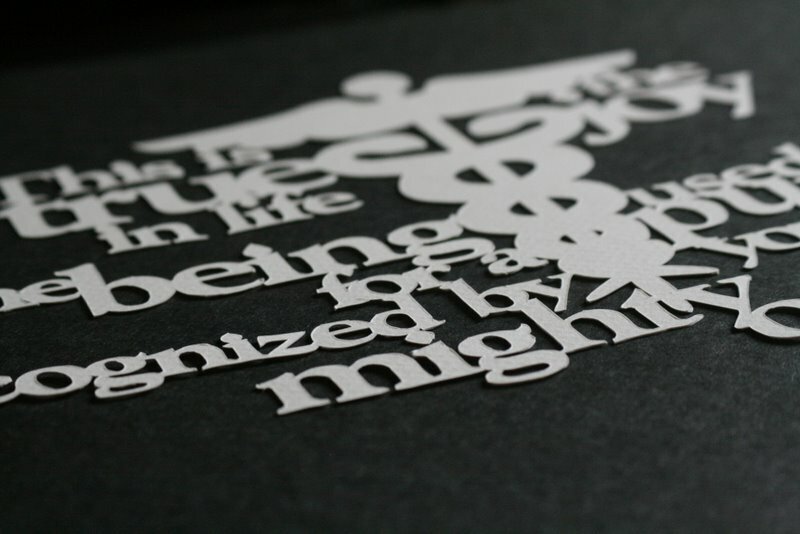 I have now finished cutting the papercut and our professional calligrapher (on my list of things to become) finished the text. My sweetie will be painting a colorful watercolor background. As you can see here, the text is on a different piece of paper from the papercut – when we get it framed, we’ll have to be sure to rotate them correctly. The painted round background will be a third piece of paper, and then there’ll be a matte as the background to fill in the rest of the square. Will post a photo of the finished piece when it’s done! This handsome hybrid is the dog companion of a fellow dog-having friend of mine. 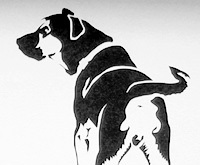 I’ve capture him in cut paper … and it looks just like him! See the whole papercut here. This past weekend my sister and now brother-in-law got married! 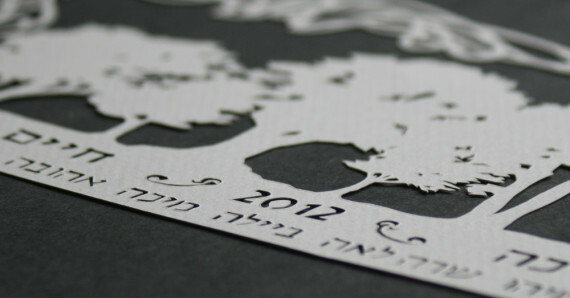 I spent the last few months working on their ketubah. 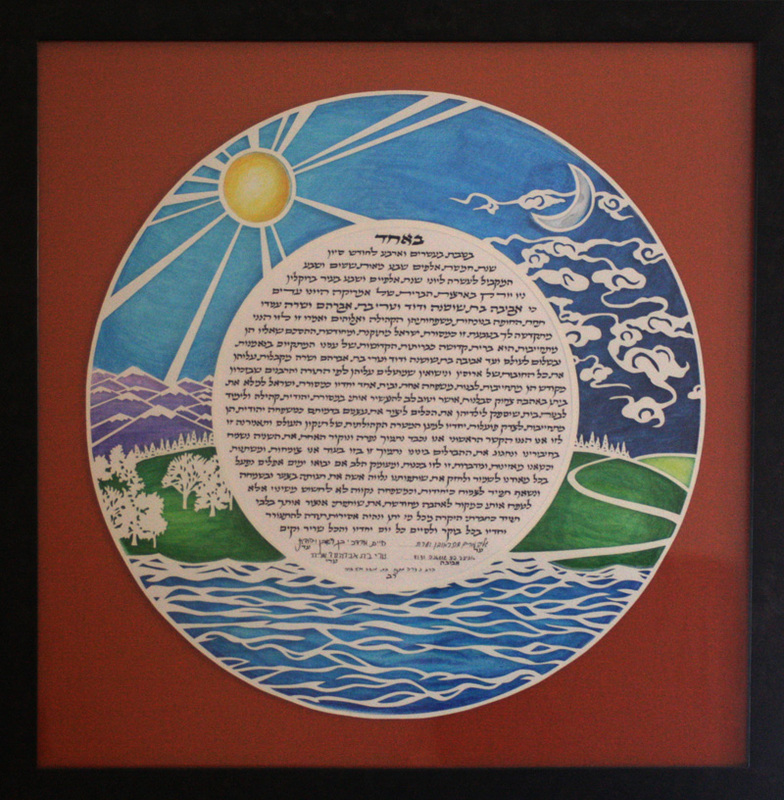 They wanted a papercut ketubah with lots of color and life, including: trees, birds, a newt, chantrelle mushrooms, roses, california poppies, hummingbirds, and the moon. 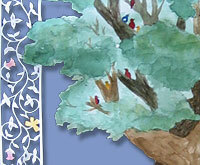 To make this piece, I first painted the trees and birds, then drew the papercut on the back and cut it out. Then I painted the flowers, hummingbirds and moons. The text was later calligraphied directly onto the blue “background” so as to show up in the spaces around the tree. 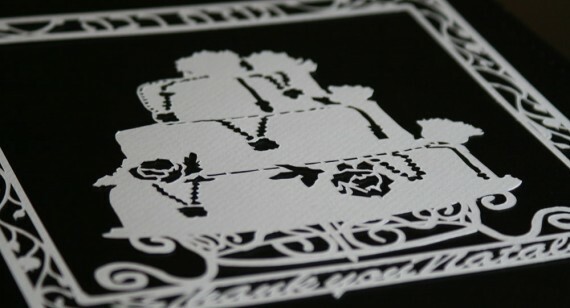 For a complete picture of the papercut, click here. 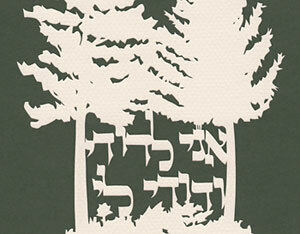 If you’d like to see what the ketubah looked like with the text (and the couple), click here. Commisioned by David for a friend’s one-year-old son, Nacham David. Their last name is Fox and they live in Manhattan. 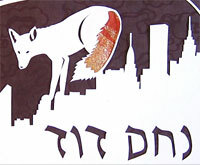 I used white paper for the papercut, special maroon paper with subtle clouds in it for the background, and I cut a special piece of fancy orange and gold paper for the tail. If I had paid attention when I went crazy in the paper store last month, I’d be able to tell you what these papers actually are! 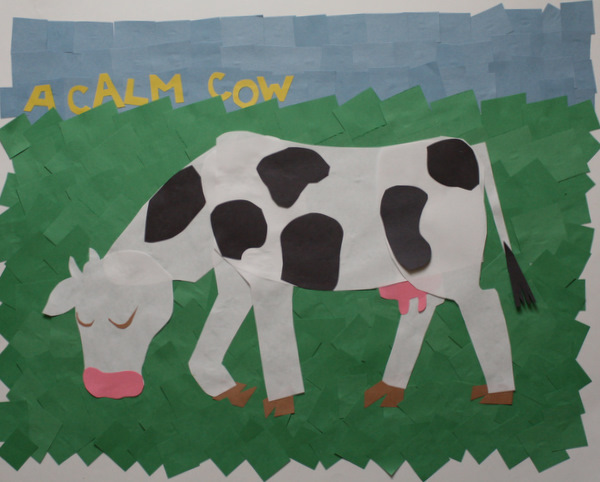 Click here to see the complete papercut.